The classic two player strategy game. Line up four discs to win. Play against a friend or the computer. All levels of play supported from beginner to expert. Based on the classic game of 'Captain's Mistress' this strategy game will be familiar to all. Planetary Defense is a space strategy game where you take charge of a planets defenses against waves of attacking aliens. 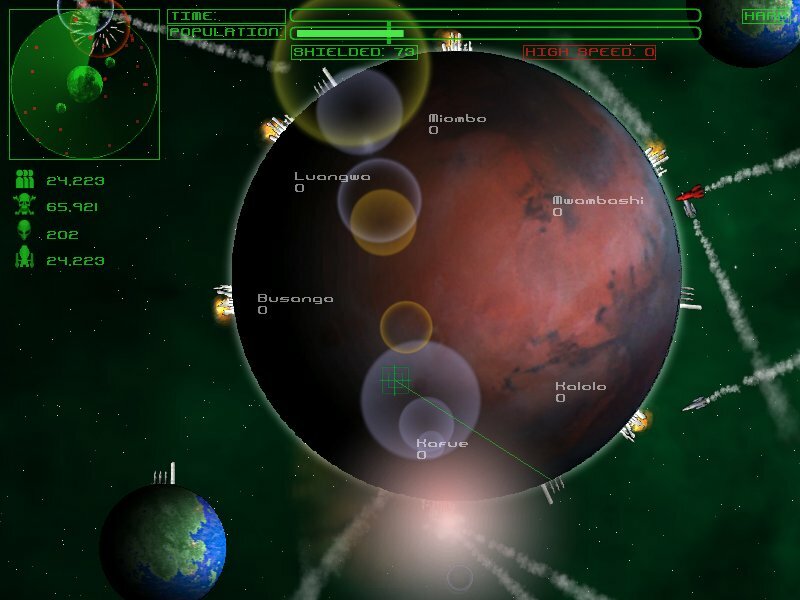 Defend against missiles, multiple warhead rockets, cloaked starships, meteors, homing missiles and laser-armed satellites. Some of the 21 missions include orbiting moons complete with colonies, defensive shield grids, radar bases and evacuating starships. Superb graphics and low system requirements, only a 3MB download.